You’ll find in the next few months of me posting recipes that I have a serious soup obsession. How can you NOT eat it every day in the fall/winter? Really. 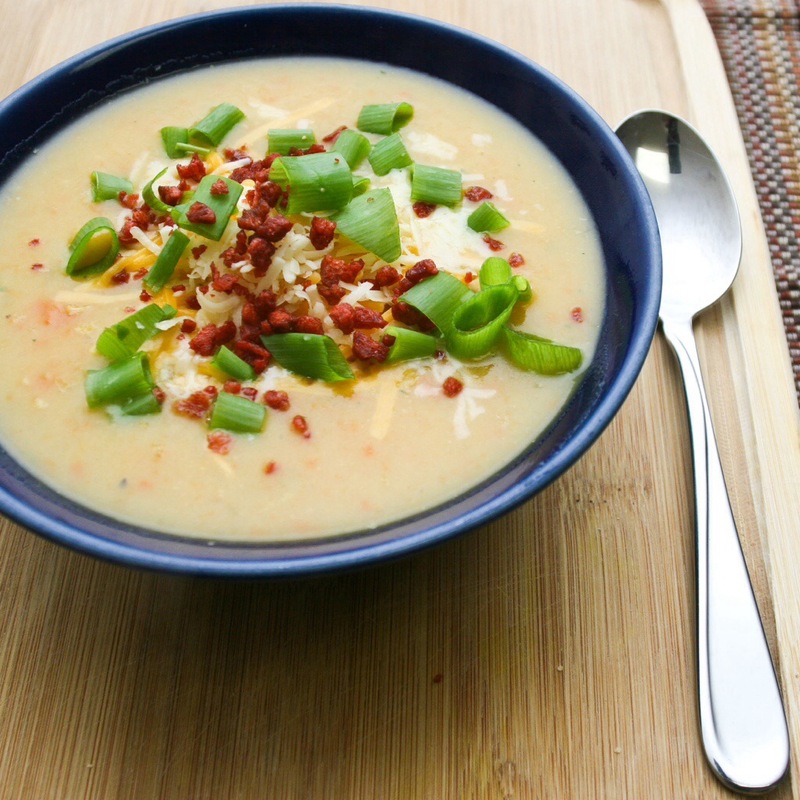 Anyway, I love creamy, rich soups, and I especially love making them secretly healthy. Or at least healthier than the traditional recipes. But come on, I’m obviously going to top it with cheese. I had never tried making potato soup, so I found a recipe here from the Pioneer Woman, and modified it to fit what I was looking for! The recipe below was very easy to modify to make gluten-free and vegan/vegetarian. So I encourage you to modify it to your satisfaction! Heat large pot to medium-high heat and add the olive oil and garlic. Cook for 2 minutes. Then add the onions, carrots, and celery. Stir and cook for 2 minutes or so, then add the diced potatoes. Cook for 5 minutes, seasoning with salt, pepper, paprika, cayenne, and basil. Drop heat to medium-low and use your immersion blender to purée most of the soup, leaving some texture. If you don’t have an immersion blender, remove 2/3 the soup and blend in a blender/food process until completely smooth. Pour it back into the soup pot and stir to combine. Let it heat back up as you taste for seasonings, adding more of what it needs. Stir in creamer and any fresh herbs you like. Garnish with cheese, green onions, and bacon bits. Enjoy your cozy fall dinner! I love creamy soups in winter, and I’m always looking for ways to make it healthy (well, healthier!) The photo looks just delicious. Me too! The soup was as delicious as the photo 🙂 Hope you like it if you try the recipe!